Cityscape photograph of two seagulls sunning on Torpedo Wharf. 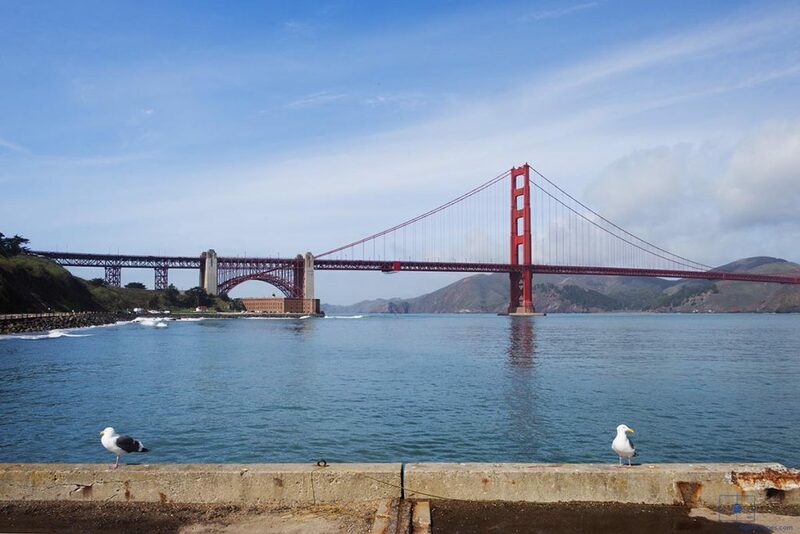 The expanse of the picturesque recedes into the background of the towards the Golden Gate Bridge. Originally built as a mine depot in 1909 as part of the defense of the bay Torpedo Wharf is now a popular fishing spot. Seagulls loiter in hopes of getting a treat from fishermen. With its classic orange paint the Golden Gate Bridge provides a chromatic contrast to the variations of blues that dominate the background of the image.